Seeing is Believing! Holiday Specs™ instantly transform Christmas lights, fireworks, candles or any bright point of light into magical messages. Our holographic "Reindeer" lenses bend the light creating magical illusions for all to see. Each glass is colorfully printed complete with easy to read directions. With more than 10 million sold at retail, people of all ages have witnessed this mysterious phenomenon all over the globe. 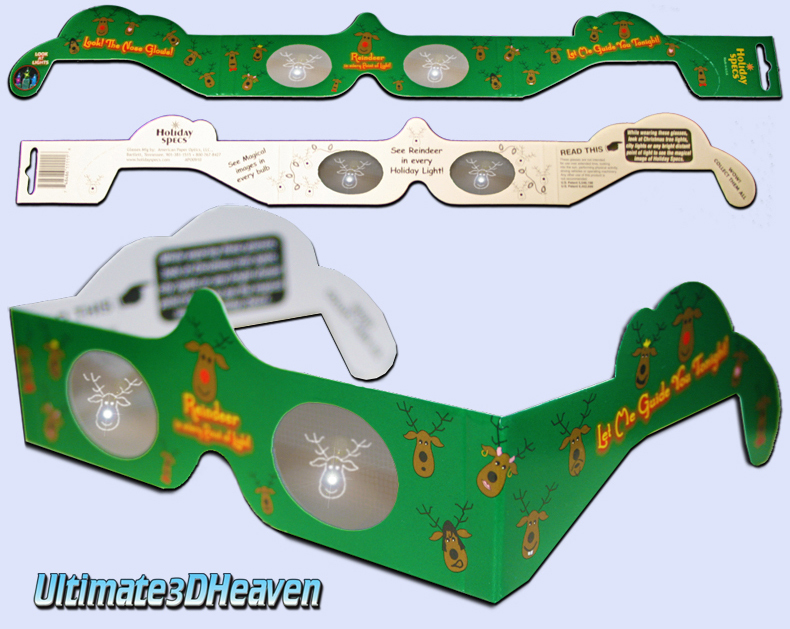 Please click here to see our amazing full collection of Christmas 3D Glasses Thanks!